We also used several graduates from our second batch as assistants in book production and distribution, and I must thank Samantha Wijesirigunawardene in particular for travelling the length and breadth of the country, along with K G Kithsiri, to provide books to schools in even distant places that had taken up the challenge. I found the story of their travels fascinating, ranging from using the Trincomalee Horowupatana Road, which I had been told was far too dangerous a couple of years previously, to being taken for travelling salesmen and being offered appropriate diversions at the small guesthouses which was all the budget could afford. All this arose from the fact that English medium at secondary level all over the country began almost accidentally, because I met the then Secretary to the Ministry, Dr Tara de Mel, at a workshop on English held at the British Council in May 2001. I had been told that she was imaginative, intelligent and competent, qualities which had for years been lacking in the Ministry, and that I should talk to her at length. I found the characterization was quite correct when she spoke about what she was hoping to do. So, though English medium was not the subject, I broached it with her afterwards, and she said that she was thinking of starting it in a couple of schools at Secondary Level, in Colombo and Kandy, to complement what she had already started, namely English medium in the Science stream at Advanced Level. I told her that starting at secondary level in just a few urban schools was a mistake, and would reinforce the perception of English as elitist. She should rather permit any school that desired to commence English medium education. She argued that there were not enough teachers, but I said that there were more than she thought, and schools that were confident of running a programme should be allowed to do so. Tara rang that evening to say that she was prepared to start if I would join the Ministry and run the programme. It was an offer I could not refuse, though she agreed in the end that I could do the job part-time. She had wanted a concept paper straight away, which was a nuisance since I was due to go abroad the following day, but after some gentle but steely persuasion, I did it and she promptly followed through. She circulated it in my absence and, after some discussion on my return, which led to deciding that English medium would be permitted only at Secondary level, starting with Grade 6, I started work at the Ministry and the Circular was issued in the latter part of 2001. The programme was entitled the Amity School programme, because one reason for promoting it was the hope that children of all communities would be able to learn together. That has happened with regard to classes in school which already had children of different communities in different language streams, but sadly we have not actively pursued the idea of bringing students from different schools with single language streams into schools where they could learn together. Initially only 93 schools, if I remember correct, volunteered to start the programme in 2002. We had worked through the Zonal Directors, and we found that some were enthusiastic, while others ignored the Circular. Interestingly, the Director of the Zone in Colombo which had many prestigious schools was not interested, and it was only Ananda College – along with its neighbor Asoka Vidyalaya – that applied, having found out what was on offer. The private schools were naturally more positive, and I had for instance old boys of Zahira and I think Wesley contacting me enthusiastically to find out more details. Later, when I was distributing the first set of books, I took the opportunity to visit Principals who had taken up the challenge, which I found a fascinating experience, not least because it made me realize how many excellent administrators we had who were being stifled by bureaucrats but who would make their schools Centres of Excellence if simply allowed the chance. The Ananda Principal I found particular interesting, for he spoke little English himself, but indicated that he felt an obligation to ensure that his boys obtained advantages that had been denied him and his peers. We got World Bank funding for teacher training as well as materials production. For the former we set up an excellent team, based largely at the University of Sri Jayewardenepura, which had also taken up the challenge set by the University Grants Commission in the early nineties to devise tertiary English programmes for students who had not offered English at the Advanced Level. That indeed had been why I had gone back into the University system, having first advised the academics at USJP about the English Diploma programme at the Affiliated University Colleges which were the precursor of the new universities of the nineties, Sabaragamuwa and Wayamba and Rajarata and the SouthEastern one, as well as the Trincomalee and Vavuniya University Colleges. The USJP staff I had worked with then took up the new challenge, and I should pay tribute here to Oranee Jansz and Paru Nagasunderam for their devoted work and innovative approaches, which many of the teachers embarking on the programme saw as a breath of fresh air. Some of the NIE staff who joined the training programmes were not however very enthusiastic, which I should have seen as a warning sign. For materials I set up a team under Nirmali Hettiarachchi who had looked after the low cost readers programme I had started while at the British Council. 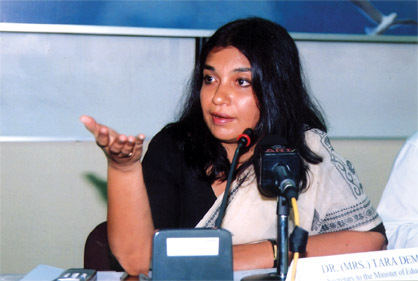 When the Council turned into mercenary mode and declared that it was not its business to take bread out of the mouth of British publishers, Nirmali ran the project through the English Association of Sri Lanka, and received considerable funding for production of books as well as training from the Canadians and the Australians and even the European Union. Producing translations of school texts was then not a problem for her, though we did find some strange mistakes in some of the original texts which had to be corrected. We also put in additional information which we felt students would benefit from knowing, and some questions to promote reflection and thought. These, I should note, caused some problems later, when the Internal Audit of the Ministry claimed we had exceeded our brief. Fortunately I was able to show them the terms of reference for the project which included the provision of supplementary knowledge. We had also added attractive illustrations so that, by January, we had the lessons for the first term printed and ready for distribution. By then however disaster had struck. The government had changed, and to my astonishment the new Prime Minister was opposed to English medium. Fortunately the Minister of Education, Karunasena Kodituwakku, was all in favour, and told me at our first meeting, when I asked if we should continue, that he wanted the programme expanded. He was surprised that Royal College had not opted to join, and he asked me why I had not informed them. My reply was that that was the business of the Zonal Director, but in any case my interest was in schools outside Colombo, not the privileged who would have access to English anyway. That indeed had been one of the arguments I had put forward in explaining why English medium was an urgent need. I knew from the many able students I had taught from rural areas that one reason they found English difficult, even though they were bright and highly motivated and even when they had had English teachers throughout, was that they had had no opportunity to use the language except during the English class. It seemed to me obvious that studying even one subject in English would make them understand its practical applications, while providing them with opportunities for practice. That was why I thought ridiculous the argument of the then Bishop of Colombo, who issued what amounged to a sort of fatwa against English medium education. Fortunately hardly any of the schools under his control took him seriously, except I think S. Thomas’ Prep. He had argued that identity was a function of culture, and culture was a function of language, which I thought bad enough, since it suggested a determination to differentiate in a fundamental fashion between Sinhalese and Tamils, with some confusion too about the status of Muslims, which was certainly not what the country needed. I also thought he was being particularly silly, since that sort of dogma would allow others to argue that identity was a function of religion. Given the premise he had advanced, he would then find it difficult to claim that Christians could be Sinhalese or Tamil. When I challenged him, and pointed out the fact that children who functioned almost entirely in Sinhala or Tamil would not lose their identity because they worked in the English medium in school, and that otherwise they would not have proper access to English, unlike their more privileged urban brethren, he relented. However he claimed that he did not want children in the Anglican schools to become deracinated, which he thought might happen since they also functioned in English at home. Evidently he had no idea of what really went on outside the charmed circle of families like his own, or possibly in Ladies College, where a high proportion of the students functioned mainly in English. Even in S. Thomas’ however, I had found in the early eighties that a majority of the boys spoke almost exclusively in Sinhala or Tamil amongst themselves, and I would have thought that by the year 2000 that tendency had increased. And that was why I found preposterous the argument advanced by one of Ranil Wickremesinghe’s defenders, that he had learnt in the Sinhala medium but his English was excellent, so why should the same not go for others? The answer was quite simply that he had lived in a milieu where English was commonly used – and perhaps a better answer was provided by the fact that his youngest brother, who had not been so fortunate, for the common language of even Royal College had changed in the decade between them, was delighted when his son was chosen for the English medium. 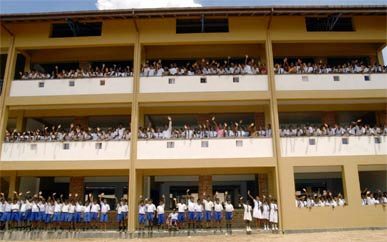 With Karunasena Kodituwakku encouraging them, Royal too had commenced this, a term later than the original 93 schools, in the second term of 2002. By the end of that year I think there were about 400 schools in the scheme, though some were to drop out as teacher problems increased. … reverted to the old formulaic methods which seemed designed to kill initiative and enthusiasm. By then the programme was flagging. Without Tara’s strong support, her replacement as Secretary of Education being a complete twerp, NIE hostility to the programme became overt, and we no longer had support for the additional training I had planned. The NIE instead took over, and reverted to the old formulaic methods which seemed designed to kill initiative and enthusiasm. This is one of the reasons we still have problems with regard to teachers, whereas the programme we had commenced in 2001, with utterly dedicated trainers and active encouragement of teachers in rural schools willing to take a chance and work hard to succeed, would have certainly have by now provided the radical remedies we still need. What kept us going over the first few months of 2002, as the bizarre combination of Ranil Wickremesinghe and the doctrinaire chauvinists at the NIE wrought its destructive toll, was the keenness of the schools that had started the programme, the bright teachers who relished the opportunity to impart their special knowledge and skills to students, the enthusiasm of the students all over the country. Galle was a particular source of strength, making clear the practical intelligence of teachers and parents of a segment of society waiting to take its place at the top, but restricted previously by the limitations of the state education system that had therefore allowed those in Colombo to continue to maintain the gap between their children and the enormously talented youngsters in less privileged areas. I remember a bright young lady in a tiny coastal school in Kalutara relishing the opportunity to use the language in which she had got her science degree, which she had almost forgotten since she had begun to teach within the state system; I remember the school in Kalmunai where, after a fun session with the Grade 6 students, a primary school student came to me with a garland and exclaimed, obviously carefully rehearsed, ‘When can we start English medium, Sir?’; I remember the Principal of St. Patrick’s in Jaffna, now I believe the Vicar General of the Diocese, flying down to Colombo himself to make sure he got books for his students in time; I remember the wide-eyed boys and girls of Nugawela Central with a few eager teachers, who knew their English, and a more eager Principal who knew hardly any; and I remember a wonderful English camp which Trinity College ran, with participants from Colombo and Jaffna and Batticaloa and a couple of much smaller local schools. But after a year I had to leave the programme. Kodituwakku told me that the Prime Minister had forbidden him to extend my contract. The argument advanced was that he thought the programme needed someone full-time, which was indeed what Ranil Wickremesinghe claimed when later I told him that I had gathered he was responsible for getting rid of me. That it was all a subterfuge was apparent from the fact that no full-time substitute was appointed – and indeed his Cabinet Secretary, Mr Weragoda, whose sons had been amongst my bright boarders at S. Thomas’, indicated to me when we met later that the real intention had been otherwise. Ranil also granted this when, in October 2002, encouraged by his brother who was worried about his son’s education, I told him that the programme was collapsing. His response was that he had told Karunasena not to start, and now he would have to stop. He claimed that he was not opposed to the idea, but that he had no time to do it himself, since he was concentrating on getting the economy to rights. He granted that the Secretary to the Ministry was not very competent, but there was no one good to replace him, the only person he could rely on being Eric de Silva, his own Secretary when he had taken over the Ministry of Education himself in 1981. Eric unfortunately was unwilling to take on the post, though I called him after that and tried to persuade him. It was then that I thought of appealing to the President, and Tara arranged a meeting, which was the one and only occasion when I have spoken at length with Chandrika Kumaratunga. It was a delightful experience, for she was clearly a warm and well-intentioned person, though with a total incapacity to concentrate. She knew this herself, for once, when I think she found some bemusement in my face when she soared from one topic to another, she told me that her children thought she had a butterfly mind. They were obviously very perceptive children. But, though she found authority difficult, and allowed things to slide when she had power, President Kumaratunga was extremely courageous and determined in adversity. She agreed to do her best to resurrect the programme, and had some public meetings at President’s House, attended also by Cabinet Ministers such as Rauff Hakeem who was strongly supportive of English medium, and I think Ranil got the message. I should add that the determination of Karunasena Kodituwakku to make the programme a success also helped, for this meant the Secretary to the Ministry did not go against him, and that in turn meant that the NIE’s opposition had to be covert – so that the many sensible people in the NIE who wanted things to succeed, but had to knuckle under to its heavy-handed head of training, could also do their part to promote things. The Ministry also had to continue to allow Nirmali and her team to produce the books, for they had no capacity at all in this regard. I was bullied by some people in the Internal Audit whose report was much more about the content of the books than the financial provisions, but a positive thinking Accountant at the Ministry came home to be briefed about the situation, and his support enabled us to continue in the previous creative fashion, at least till the end of the first year. The Ministry took over the production of English medium texts after that and, though the books suffered in quality, with some egregious language errors, the creation of opportunities for profit through book production – perhaps the only reason for the continuing state monopoly on the production of school textbooks – meant that there were now people in place with a vested interest in ensuring that English medium continued. We did have trouble with the Maths book towards the end of that first year, for we found it had been prepared with no attention to logic or sequence, and I found much understanding of this in those at the NIE who were trying to revise the Maths syllabus. I was able to bring this to the attention of the President at one of the meetings on education she had summoned, and she was shocked, because she had been under the impression that the Maths syllabus had been successfully modernized. But a rather sheepish former NIE Director General confessed that, while Primary Maths had been changed, they had not followed through from Grade 6 onward. This absurdity made clear the importance of one of the terms of reference that had been included when we set about the translation of the existing materials. This was to draw attention to inadequacies in existing materials, through the possibility now of comparing our textbooks with those used in other countries. As I had suspected, years of functioning with a frog in the well mentality had meant that we had not thought about ensuring that our children were getting an education at least commensurate with that given to children in the rest of the world, and in particular in neighbouring countries, which had soared far beyond us with regard to essentials such as Maths and Science – and of course English. I was able to address some of these concerns when Tara went back to the Ministry of Education in 2004, following the change of government. In addition to returning to the Ministry as Adviser on English, with what seemed a larger brief, including the strengthening of Primary English, I was also asked to chair the Academic Affairs Advisory Board of the NIE, and we worked hard on a new curriculum. Though unfortunately we were replaced before we had quite put things in place, at least some positive changes were made. The change of government in 2004 I think saved the English medium programme, for it restored confidence in the many principals and parents who had thought it was being undermined. I did not however think I should interfere with the systems in place for training and for book production. My hope was that the new systems we were trying to put in place through more radical reforms at the NIE would serve the whole system better, including not just the English medium programme but English in general as well as other essential areas such as Maths and Science, in which the rural areas lagged far behind. We also needed much better teacher training programmes, with what had once been flagship institutions, the Colleges of Education that had started in the late eighties, now being understaffed, with archaic curricula that inhibited wider learning. … some of the personnel President Kumaratunga had put in place had no idea about either education or administration. Unfortunately we were too slow, and some of the personnel President Kumaratunga had put in place had no idea about either education or administration. A mark of her chaotic way of running things was the fact that she did not consult Tara at all about the appointments she made to the principal positions at either the NIE or the National Education Commission. It was only by virtue again of a chance meeting when Tara was trying to ensure practical action at the NEC that I suggested Sterling Perera, former Chief Commissioner of Examinations, as the Vice-Chairman, and he did work strenuously despite his years, but he could not achieve much. And at the NIE the Director General kept being swayed by one influence after another, and kept putting off decisions that meant little was accomplished during his tenure. 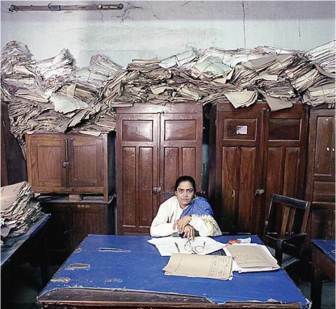 Tara too suffered from the fact that capacity at the Ministry was down to almost nothing, given the havoc wrought by her predecessor. Most destructively, the Ministry had lost Lalith Weeratunge who, as her Additional Secretary, had complemented her strengths with tremendous efficiency and commitment. I had indeed, when I realized that there was no way in which Ranil would keep Tara, suggested to the Committee in charge of appointing Secretaries that they select Mr Weeratunge, and they had in fact recommended him, but the Prime Minister had thought otherwise. Without him, Tara had no one on whom she could rely, who was also able to iron things out within the system which she, as an outsider, did not always appreciate. And things got worse when, after the tsunami, the President in effect took her away from the Ministry for days at a stretch. The situation got so bad that I in fact sent in a letter of resignation, on the grounds that I was achieving nothing, but she sent me a charmingly persuasive reply, noting how alien she otherwise found the Ministry, so I stayed on. … made it clear that he wanted English medium to continue. 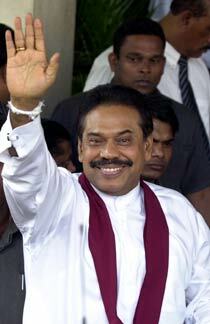 With the election of President Rajapaksa at the end of 2005, the situation initially got worse. The new Minister of Education, Mr Premjayanth, had not got on well with Tara earlier, and those opposed to her thought it would be a good opportunity to undo all her work. Mr Premjayanth was not himself so mean-minded, and did his best to ensure the continuation of productive programmes, but it was not always easy to get through those who surrounded him so as to ensure swift decisions. I was on sabbatical by then, and due to travel to Italy for the launch of the translation of one of my novels, so I resigned from the Ministry at the end of 2005. Thos elements in the NIE who wanted to get rid of English medium thought this was their opportunity, but the President had already made it clear that he wanted English medium to continue. With Lalith Weeratunge, as Secretary to the President, keeping a keen eye on education, which continued to be of special interest to him, I felt confident the programme would survive. And so it has done, with the President once memorably rebuking the greatest opponent of English medium at the NIE when she suggested, at a meeting he had summoned to discuss his Spoken English programme, that promoting English as a second language was better than English medium. Upto that point, His Excellency had allowed those running the Spoken English programme to field questions. But, realizing the thrust of the question, he leaned forward and said very simply that it was because the NIE had made such a mess of things that he had had to take this particular component under his own wing. The applause of the entire audience made it clear how negative teachers round the country felt about that particular element in the NIE. In 2007 the first batch of English medium students countrywide sat for the Ordinary Level Examination. In 2007 the first batch of English medium students countrywide sat for the Ordinary Level Examination. They did comparatively well, putting paid to the canard that students in the Sinhala or Tamil medium would have advantages at public examinations. Then, in 2010, this batch did their Advanced Levels in English. 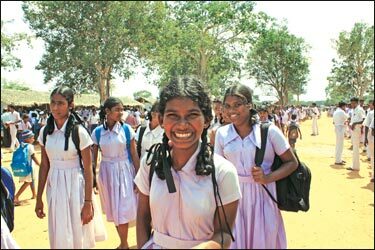 Numbers were fewer, for the Ministry had not looked into the question of ensuring good English medium teaching at Advanced Level islandwise, so some students reverted to Sinhala or Tamil in less privileged areas. However those who sat did well, and enough secured admission to university to ensure that fears of comparative disadvantage would not hold back students in the future. There were also some unexpected advantages. Though there was inadequate provision for English medium teaching at Advanced Level for Arts students, many more students than previously opted, having studied in the English medium upto Ordinary Level, to offer English as a subject at Advanced Level. The general level of those studying English as a subject at University then has risen, and this in turn has a positive effect on General English as a subject in Arts Faculties, which have traditionally not treated English with the importance it deserves as a handy tool for enhanced employment. Perhaps the greatest threat with regard to English medium has been the decision of the Ministry to insist that history be done in the mother tongue. This is a product of a mindset that sees history not as a tool to understand the past better so as to build more productively for the future, but as an end in itself, the absorption of content without analysis. Those responsible for history at the NIE managed after all to produce a syllabus that precluded study, over the whole grade span, of the French Revolution and the Industrial Revolution, and then denied this had happened until they were forced to actually look at the syllabus they had perpetrated. The implication of preventing history being taught in English is that it sends out the message that English medium is for students of Science and Commerce, not the vast majority who, willingly or not, given the lack of science and maths teachers in rural areas, have to follow Arts subjects. This will perpetuate social divides, when it is imperative that we promote English learning amongst the relatively underprivileged. The decision seems to me in line with the thinking at the Ministry and the NIE that has ensured that the privileged reap all the benefits of our free education system, while our rural youngsters continue to be straitjacketed in the limitations the state enforces strictly as far as they are concerned. I have taken this opportunity to put on record much of the history of English medium education over the last decade. I think this is important, for we need to be aware of how change can be promoted, how personalities such as Tara de Mel and Karunasena Kodituwakku and Ranil Wicremesinghe play such a large part in moving things forward or letting them stultify, how initiatives for one purpose can be used to provide benefits in other areas too. But perhaps more important at this stage is to put forward, for discussion and I hope promotion, ideas for strengthening English medium education and ensuring that its benefits accrue to those segments of society that have been deprived of good English for so long, and who therefore end up in continuing subordination to the more privileged. The first problem we still face is a continuing shortage of teachers. Combined with this are the inadequate language skills of new recruits who go on to teach either English or other subjects in the English medium. One reason for this is the downgrading twenty years ago of the Higher Institute of English Education which was supposed to train trainers, and build up a pool of capable personnel for the Colleges of Education, the Training Colleges, the Regional English Support Centres and also the positions of Assistant Directors of Education (English) who in effect supervise English Education in the regions. In the first place, it would be advisable for the NIE to re-establish something like the HIEE. I believe even the Department of English Education, to which it was reduced, was subsequently absorbed by the Department of English, which has to deal with much more basic issues. But secondly, in addition, it would make sense, given the relative paucity of competent people within the system, to encourage alternative systems of teacher training. For a long time it has been argued that this would lead to inadequate teachers, but that is a nonsensical argument, given the excellence of private institutions of teacher training such as the Bolawalana College in the past. Rather the argument is used to justify a monopoly that, like most monopolies, has led to an increasingly expensive low quality product. On the contrary, the role of the state should be to evaluate and certify training institutions, and it is certainly desirable that no one should be given appointments in the state system without certification by the state. But to confuse the need to maintain national standards with the supply of those who need to satisfy such standards is perhaps one of the last relics of the statist mindset that created such economic and social chaos in Sri Lanka several decades ago. Indeed the excellent new initiatives of the Ministry of Higher Education show us one way forward. In addition to encouraging institutions such as the Catholic Church, and perhaps the old Theosophist Society that did so much for extending education to the less privileged in the past, to take up teacher training, we should encourage foreign institutions that come in to provide additional opportunities for tertiary education to also engage in teacher training. We should in particular encourage the development of English and Science and Maths teachers. The Ananda Principal I found particular interesting, for he spoke little English himself, but indicated that he felt an obligation to ensure that his boys obtained advantages that had been denied him and his peers. The products of such private institutions could, if the courses satisfy state standards, be posted only to particular schools, in line with the President’s desire to promote school based recruitment. Now the products of the state system, even if posted initially to disadvantaged areas, spend much of their time seeking transfers to more convenient places, and they invariably succeed, given that everyone in Sri Lanka knows someone of influence, or knows someone who does so, and people of influence find it difficult not to try to exercise that influence. A simple survey of teachers posted to difficult areas will show that most of them have got away within a couple of years. My first point then is that we must encourage alternative systems of teacher training and ensure better deployment. This can be done without any unfairness or injustice, but it takes imagination and initiative to make a start. The current efforts to ensure additional delivery of tertiary education provides an ideal opportunity for reform. Connected with this is the need to ensure more systematic monitoring and support for English medium programmes in the regions. While some ADEs and RESCs do a great job, others are neither interested nor competent. The development of guidelines as to the support that should be offered, with a mechanism at the NIE to provide training and also to study reports and suggest remedial action as needed would be helpful. In particular there should be wider understanding of the need to ensure equitable access to English medium nationwide. In this context it would make sense to consolidate available resources. Now that the Ministry is developing schools that are Centres of Excellence islandwide, it could also establish institutes (either within existing schools or separately) that would provide high quality Advanced Level English medium education. This would allow limited resources to go further, with the few competent English medium teachers we have each serving more students. In addition to this advantage, such institutes would bring together students of all communities in the area, to take further the concept of Amity that the English medium programme originally envisaged. … the Principals of the small Sinhala and Tamil and Muslim schools all asked whether it would be possible to have just one English medium school for the area. Such a mechanism could also be developed in areas in which there are severe teacher shortages in two or three different schools that each cater to limited numbers. This phenomenon was brought to my attention in Mutur, where the Principals of the small Sinhala and Tamil and Muslim schools all asked whether it would be possible to have just one English medium school for the area. I was deeply touched, since this was not very long after the bitter fighting that had taken place there in 2006. But in addition to this show of solidarity by three Principals of different communities, it struck me that they were also anxious to provide a better future for their children. None of the schools had over 500 students, all were without teachers in many subjects. If the schools were combined, far fewer teachers would be needed. I have no doubt that crash courses to develop teachers competent to function in the English medium would cost less in the long run than continuing to seek three times as many teachers as would be necessary. It would also be fairly easy to find funding for this purpose. The children, in addition to working together and learning the languages of each other more readily, would obtain competencies that would serve them and their communities well for the future. There are several other areas in the country, in particular where plantation workers are still relatively deprived, where such English medium schools could be established so as to use resources more effectively while also benefiting children of all communities and promoting linguistic as well as communal harmony. I have no doubt that a special task force in the Ministry could easily find resources to fast forward such productive institutions. I would secondly suggest then that government should promote the establishment or development of English medium schools that would bring together students of different communities, both to promote harmony and to more efficiently deploy available English medium teachers. In addition to special attention being paid to such schools at Advanced Level, so that all those who have studied in English medium upto Ordinary Level would have opportunities to continue, the practice could be started in areas where small schools for different communities exist side by side, many with insufficient resources. … a gentleman at the NIE turned out to be the head of a cartel that was producing books, supposedly as an independent external provider. Another area in which we need to do much better is the production of textbooks. There are continuing horror stories of mistakes in English medium texts, and sometimes it is found that these replicate errors in the original Sinhala or Tamil books. Unfortunately again we have a system whereby the state, which should evaluate the textbooks prescribed for students, also produces them. Tara did try, many years ago, to introduce a multiple book option, to at least provide some alternatives, but the way this was done was a joke, as I realized when a gentleman at the NIE turned out to be the head of a cartel that was producing books, supposedly as an independent external provider. In short, the rent seeking establishment had found a way to subvert the reform, to spread even greater profits amongst themselves. And that these profits were massive was apparent from the fact that the unit cost of the English medium textbooks Nirmali produced was far less than those the state was producing in far greater numbers. What we need is a system that encourages actual publishers, not cartels set up specially for the purpose, to produce texts based on the syllabuses. Unfortunately we do not have such publishers in Sri Lanka, following the decline for instance of Gunasena’s, which used to provide such excellent textbooks before the state decided to take over the business itself. However there are excellent publishers in India who are competing against each other to produce school textbooks that are constantly improving in quality. They should be encouraged, in partnership with Sri Lankan agencies, to produce books for our students. This should not be too much trouble for them with regard to English medium books in areas in which school syllabuses worldwide should be similar, and I have no doubt that they also have the skills to adapt for the Sri Lankan context as required, in accordance with our existing syllabuses. … students from the regions are deprived of opportunities to buy and enjoy books, but will take full advantage of what is available, with particular attention to English language publications. Their partners could be publishers or booksellers in Sri Lanka, or perhaps even regional institutions such as the Regional English Support Centres which could be encouraged to also establish Book Centres. 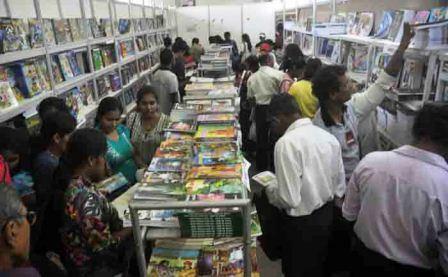 Currently, as the crowds that flood the National Book Fair indicate, students from the regions are deprived of opportunities to buy and enjoy books, but will take full advantage of what is available, with particular attention to English language publications. It would therefore be extremely helpful if the Ministry could develop mechanisms to improve the supply of such books to the regions. I had discussions on these lines with the current Indian Foreign Secretary when she was High Commissioner in Colombo, and I believe she would be very supportive of such a scheme, and also help to find resources to encourage such involvement by professional publishers. In the long run such a scheme would also help to raise the quality not only of the textbooks in use by Sri Lankan children, but also the syllabuses, since we clearly need better access to modern developments in science and maths, if not indeed in all subjects. I should add that collaboration could be with publishers in other countries too. 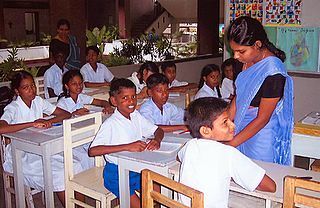 In 2005 we had a scheme in the Ministry to provide primary English readers for all children entering Grade 1, and in addition to publishers from India and Sri Lanka, we also had Malaysia involved in the scheme. Unfortunately this effort to promote such readers, which the publishers had agreed to make available at low cost for the wider market, was stymied when the Ministry failed to distribute the books satisfactorily and ignored the possibility of training teachers to use them effectively. 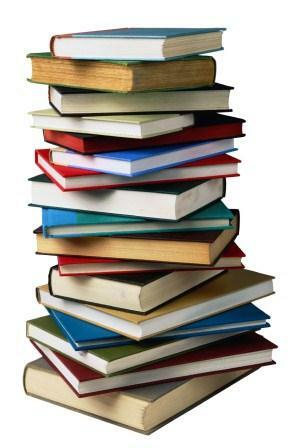 Thirdly then I suggest more attention to the production and distribution of textbooks, through collaboration as appropriate with established international publishers. They should be encouraged to collaborate with Sri Lankan agencies, which would also be tasked with the development of Book Centres in the regions. 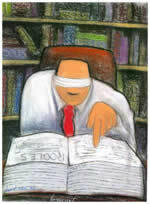 English … is the principal international language, one of increasing opportunities all over the world. Having spoken at great length, let me conclude now by noting again that English is no longer just the language of the British, a legacy we could do without. 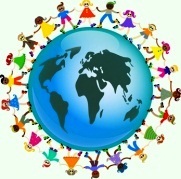 Rather it is the principal international language, one of increasing opportunities all over the world. The comparative advantage we had with regard to English has been sacrificed at the altar of a divisive linguistic nationalism, which I fear has contributed to our nation being deprived of a tool that could have helped us immeasurable. While the privileged continued to benefit from their possession of this tool, the vast majority of our people, of all communities, had no access to it. We owe it to them and to the nation as a whole to take all possible steps, in the interests of equity as well as national prosperity, to set right this sad situation.